St. John's Electricians at Starlite Electric Ltd.
Are you proud of your landscaping? Show it off with outdoor lighting solutions from Starlite Electric Ltd! At Starlite Electric Ltd., our electricians in St. John's have the experience and the know-how to set up attractive lighting control and landscape lighting systems to highlight the gardens you’ve created. As a locally-owned business, we’ve helped create some of the most beautifully illuminated outdoor lighting setups in St. John’s and the surrounding communities — and we can create one for you, too! When you call Starlite Electric Ltd. for your free estimate, we will go over the many ways you can make your outdoor areas safer and more attractive. Starlite Electric Ltd’s licensed and insured electricians can install electrical service in both newer and older homes. We can take care of commercial projects and maintenance quickly so as not to inconvenience retail customers, or we can install backup generators. We take pride in bringing our clients the latest products and technology in the lighting industry. 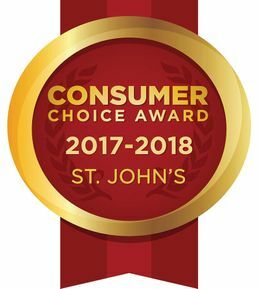 Since 1984, Starlite Electric Ltd. has offered lighting control systems and shading solutions to St. John’s and the surrounding area, in addition to landscaping lighting and more. Let our dependable, efficient electricians handle your needs. We look forward to offering you a free estimate on your residential or commercial project. Call the experts for more information.